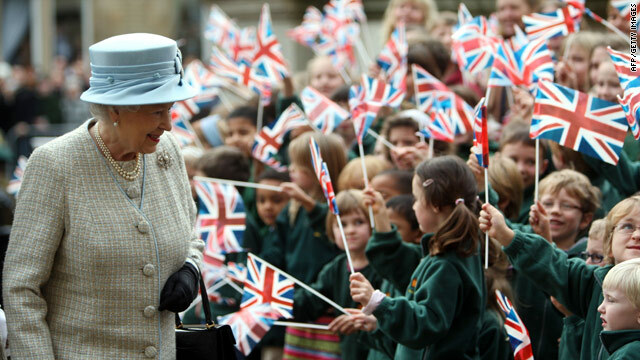 Britain's Queen Elizabeth II is head of state of 16 U.N. member states. United Nations (CNN) -- Britain's Queen Elizabeth II will address the U.N. General Assembly in July, the British Mission to the United Nations announced Friday. Queen Elizabeth last addressed the General Assembly in 1957, it said. The queen's July 6 speech will come at the conclusion of a nine-day trip to Canada with her husband, the Duke of Edinburgh. She will address the United Nations in her capacity as head of state of 16 U.N. member states, the mission said in a news release. Queen Elizabeth is head of state for the United Kingdom, Antigua and Barbuda, Australia, the Bahamas, Barbados, Belize, Canada, Grenada, Jamaica, New Zealand, Papua New Guinea, Saint Kitts and Nevis, Saint Lucia, Saint Vincent and the Grenadines, the Solomon Islands and Tuvalu.